Selma was very pleasant and helpful at check in and check out. A good employee! Good hot water and all the basics needed in the kitchen. 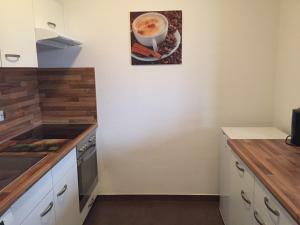 Great appartment, good value for money and above all perfect location! We enjoyed our 9 night stay. Very quiet, clean, and spacious 1 bedroom apartment, filled with light. Comfortable bed with warm comforter. Location is amazing. Easy walk to public transport and many touring sites. Excellent variety of nearby restaurants. It was a delight to return after a busy day and enjoy delicious dinners at reasonably priced restaurants on street below our window. Our kitchen was well supplied for cooking, however we only fixed breakfast. Excellent grocery is one block away. Location, Price, services near by, and elevator all great. Would stay here again, but bring a mattress topper. Apartments were decent size. Roomy but outdated. Close to attractions. The apartement is very spacious and nice, well equipped kitchen. Great central location, comfortable beds for 4 people, quiet, quickly replaced hairdryer when one didnt work, lots of hot water. Excellent value for the price. very smooth appartment with two bedrooms and a living room. Satelite TV, WIFI, Dishwasher, laundry washer anything you can ask for! Clean spacious apartment on 8th floor with nice view from a living room. The apartment was clean, spacious and centrally located to main attractions, walking distance from restaurants, the mall and train stations. 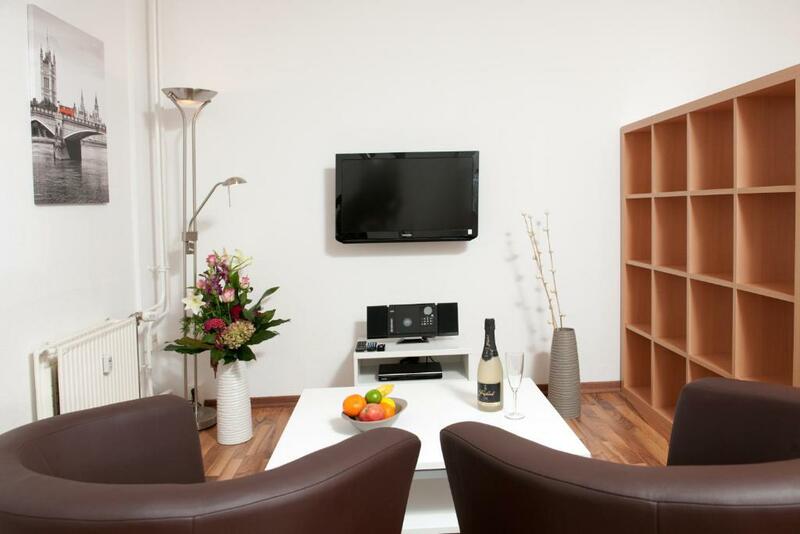 Lock in a great price for Apartments am Brandenburger Tor – rated 8.4 by recent guests! Apartments am Brandenburger Tor This rating is a reflection of how the property compares to the industry standard when it comes to price, facilities and services available. It's based on a self-evaluation by the property. Use this rating to help choose your stay! 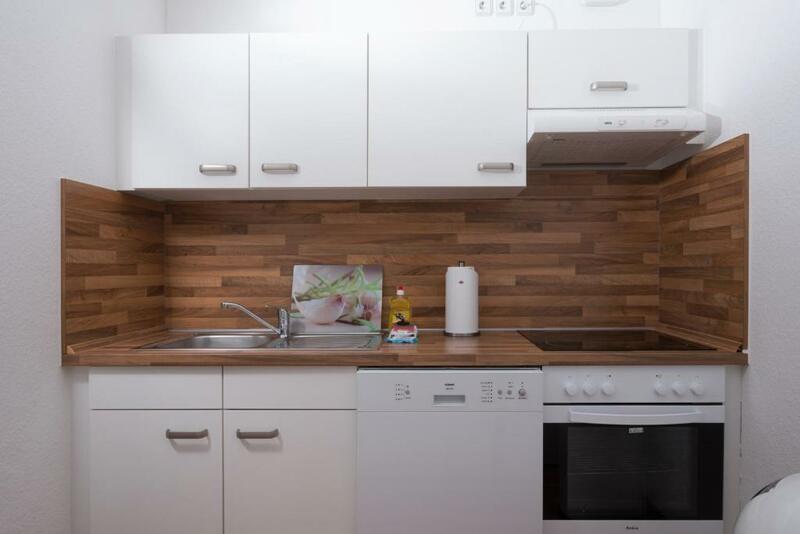 One of our top picks in Berlin.Offering a fully equipped kitchen, a stereo system, and great transport connections, these stylish apartments in Berlin are centrally located between the Brandenburg Gate and Potsdamer Platz Square. Free Wi-Fi is included in every room. Brandenburger Tor City Rail/Undeground Station and several bus stops are within a 5-minute walk of all the apartments. Towels and linen are included in the room rate. 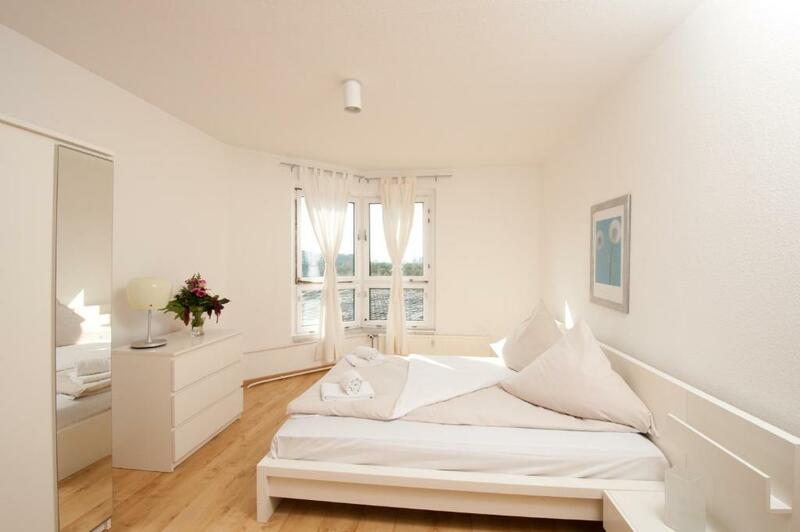 뀐 Located in the real heart of Berlin, this property has an excellent location score of 9.6! 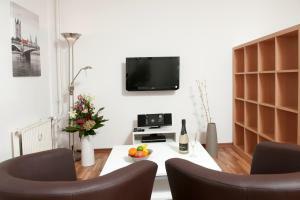 When would you like to stay at Apartments am Brandenburger Tor? This apartment features a bedroom, living room, bathroom, and kitchen. Please note that the bedding types listed are subject to availability. Please contact Apartments am Brandenburger Tor for more information. This apartment features 2 bedrooms, a living room, a bathroom, and a kitchen. This apartment features 3 bedrooms, a living room, a bathroom, and a kitchen. This renovated 2-level apartment features 2 bedrooms, a living room, a bathroom, and a kitchen. Please note that the elevator only goes as far as the floor below and guests must take the stairs one level to access the apartment. Please note that a deposit of EUR 500 is required upon arrival. This 2-level apartment features 3 bedrooms, a living room, a bathroom, and a kitchen. This apartment has a CD player, sofa and kitchen. This apartment features a seating area, DVD player and dining area. House Rules Apartments am Brandenburger Tor takes special requests – add in the next step! Apartments am Brandenburger Tor accepts these cards and reserves the right to temporarily hold an amount prior to arrival. Reception is open until 18:00. Guests arriving outside these times are kindly requested to inform the apartments in advance, and are asked to provide identification (passport, ID card). Please note that a security deposit of EUR 500 is required upon arrival for all duplex apartments. A deposit of 100% is required in order to receive the key outside of reception hours. Guests must present the credit card that was used to make the booking / prepayment upon arrival. Please note that it is not possible to store luggage at the accommodations after check-out. An internet router can be borrowed at reception for a security deposit of EUR 50. The security deposit will be returned when you bring back the router. Please note that there is a construction site close to this property, guests might experience some noise disturbances during the day. The location was perfect. Close to public transport and some points of interest. A lot of restaurants in the area to choose from. A supermarket is 5 mins away. The place itself is very clean and well equipped. Wifi was excellent. I highly recommend. Poorly furnished and little comfort. Very poor bathroom, old fashioned. Refrigerator was not very cold. Holder for hand held shower would not stay in place. Very new and clean with great amenities. Property needs a microwave. Beds were uncomfortable. Very limited tv channels and none in English. Quirky that it overlooks a car park that was Hitlers bunker and where he committed suicide. These are East Berlin apartments built in 1970’s for athletes and government officials in the DDR but are in good condition. Great location close to Jewish memorial and checkpoint Charley, Brandenburg gates. Great view of tv tower from lounge. Internet worked well. Apartment very clean. Apartment in private block. Public areas/stairways exceedingly grubby. Dirty/graffiti. Lift broken down for last two days. Todo estaba perfecto. Everything was perfect. Unfortunately I via airline delays arrived late and the staff kindly checked us in. However, in their haste they allocated us a 1 bedroom apartment. So an uncomfortable night for me. Staff very apologetic the next morning and effected a prompt change but their mistake did not make for a good start. Excellent location very spacious apartment happy to recommend highly. Central location, very spacious, very warm, good facilities. Great beds. Noise especially for hours at night. Not suitable if travelling alone. I left early!